So far we have delivered three projects for them. 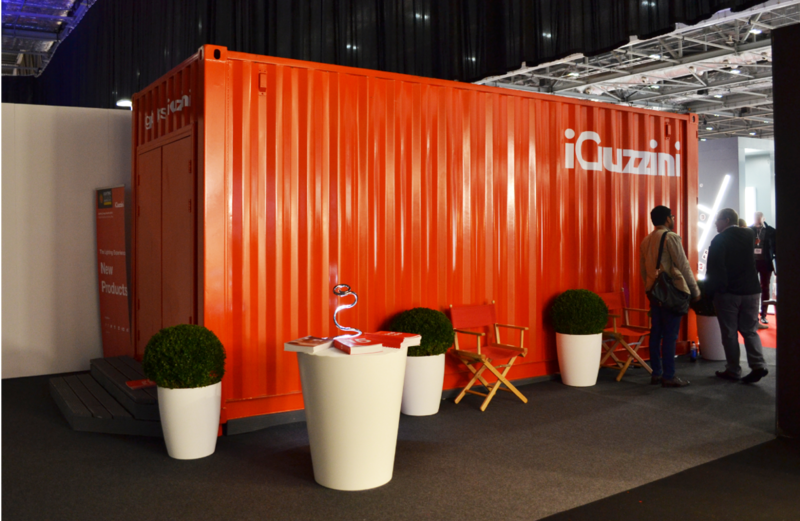 The first was a shipping container conversion and the first time London Display Company had taken on such a task. It was a brilliant chance for the designers to create something that could highlight the lighting in quite a confined space. 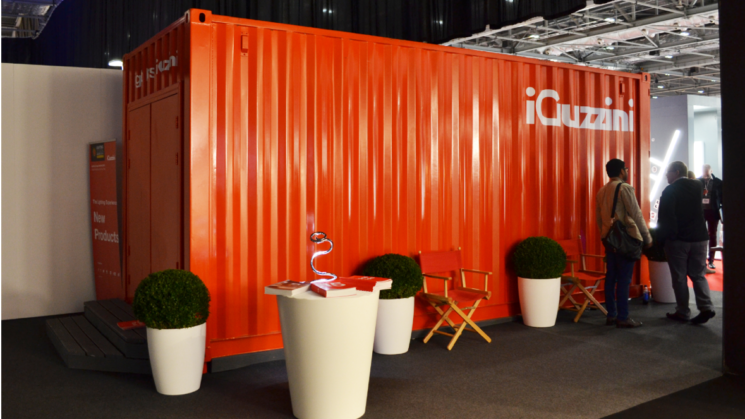 This led to our second project with them, a shipping container that sat within a custom built wall and counter. Here we built on the lessons of the first project, adding in additional features to further entice potential clients. The third project was a sleek custom Built exhibition space – Tunable Light lab. Here we highlighted the red branding, most notably with the typically Italian moped tucked to the side of the stand, on a backdrop of clean white to create a truly distinctive stand.